If you don't get 400 Pinterest 100% without any question asked. If I could not your full work in deadline time I will money back 100% guarantee. 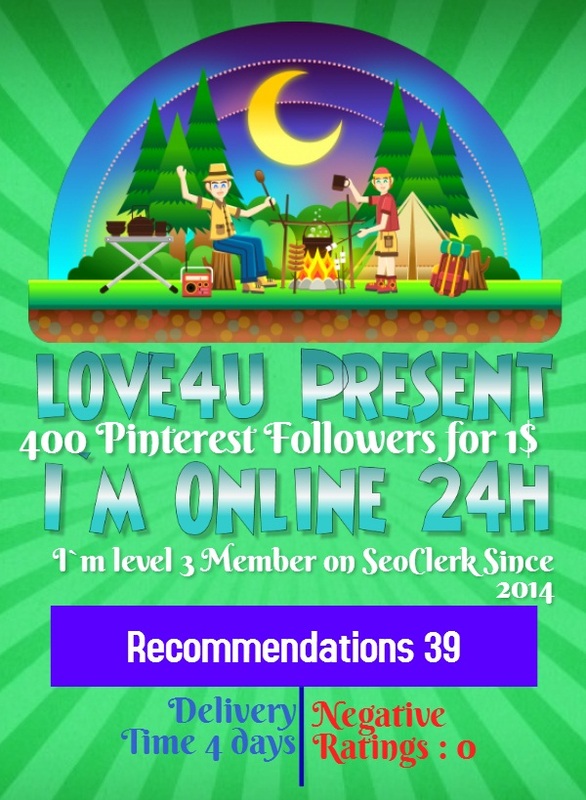 Get 400 Pinterest Followers Real Human with world wide Followers is ranked 5 out of 5. Based on 230 user reviews.